CBS has big plans for the Star Trek franchise. On May 13, 2005 Star Trek: Enterprise ended. Fans would have to wait over 12 years until the next Star Trek show would air. Star Trek: Discovery premiered on September 24, 2017. Critics hailed the new show and it seemed to fix a lot of the issues that plagued Star Trek: Enterprise more than a decade earlier. Discovery was edgier and had a more complex, engaging, and continuous storyline. A major change by CBS, Discovery was launched and only aired on CBS's All Access, a premium online streaming subscription service. It was a big gamble by CBS, but it paid off. Star Trek fans flocked to the new show and bought subscriptions. Now building on the success of Discovery, CBS is laying the foundation for year-round continual Star Trek programming on their subscription service. 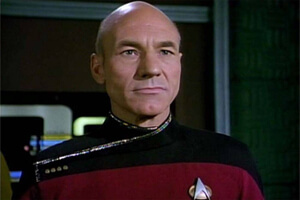 Just a few days ago the announcement was made in Las Vegas that Sir Patrick Stuart would be returning as Captain Picard in a new series. CBS executives have also confirmed that other new Star Trek shows are in the works. "It is my goal that there should be Star Trek something on all the time on All Access," CBS TV Studios president David Stapf said in a recent statement. One of the new shows that has been revealed is Star Trek: Short Treks. These are Star Trek: Discovery shorts that will air before the upcoming new season in 2019. It has also been revealed, that aside from the new Captain Picard series, CBS is only working on new shows surrounding the current Star Trek: Discovery storyline. Characters from Discovery are being examined to see how well they might transition into a new stand-alone series. The most interesting prospect is a new show surrounding Michelle Yeoh's Emperor Georgiou character. When executives were pressed about other possibilities, such as William Shatner returning to reprise Captain Kirk in some capacity, the response was, "Never say never." So it seems CBS in going all-in with Star Trek to help promote its All Access subscription service. Other shows that are in development include a reboot of The Twilight Zone and an adaptation of The Stand by Stephen King.